JSSC Panchayat Secretary Admit Card - Download Call Letter for Secretary examination now. JSSC Panchayat Secretary Admit Card-The Jharkhand SSC Staff Selection Commission has Released Admit card and exam dates also for PAnchayat Secretary examination. JSSC Panchayat Secretary exam will in three shifts on each day. 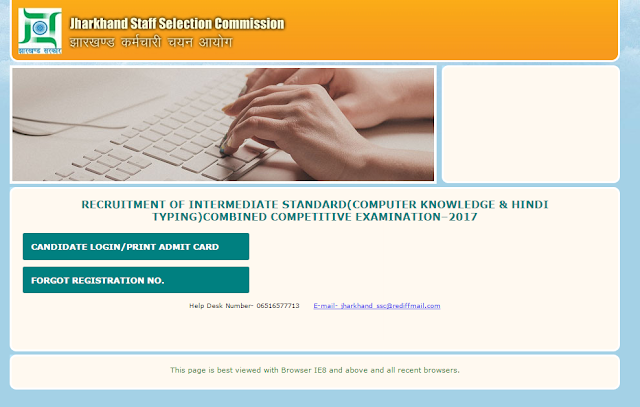 The candidates who have applied to appear in the “JSSC PAnchayat Secretary Intermediate Standard (computer knowledge and hindi typing) combined competitive examination” can download Online admit card of JSSC Panchayat Secretary 2018 exam at official website jssc.in. All the best for examination.